Whenever possible, we love to give scientists the opportunity to share their knowledge. One of our goals is to be a go-to source of information on recent advances in the biological sciences and techniques that simplify and expedite research. We recognize, however, that we can’t do it all ourselves. Therefore, in this blog post we’re taking a moment to reach out to you, our readers, and ask you to share your expertise through our blog. Do you have skill in a particular technique? Do you have a set of tips you give to every new lab mate? Do you have a trick to get the highest yield out of your minipreps? If so, we’d love to have you write for us! If you’d like to write about a different topic, feel free to include your suggestion in the Question/Comment section of the signup form. 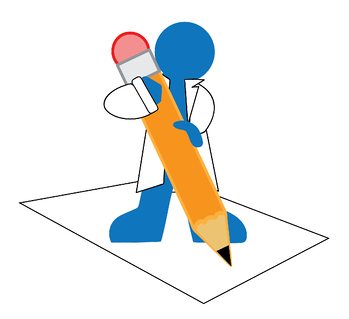 Writing Experience - Our editors will work with you to help hone your blog post for our audience of biological scientists from a variety of different fields. Exposure - With over 100,000 views each month, the Addgene Blog is a great way to get your name out there! Completed blog posts are also great to include on CVs and Resumes. An Expanded Network - Addgene will promote your blog on a variety of social media outlets meaning you’ll have the opportunity to interact with and discuss your work with many different people. Wenning Qin, Molecular biologist with Biogen interested in applying CRISPR for mouse genome editing. Erik L. Snapp, Associate Professor at Albert Einstein College of Medicine. Beth Kenkel, Research Assistant in the Department of Pediatrics at the University of Iowa. To sign up to write for the Addgene blog simply fill out the form found here. We can’t guarantee that all those who sign up will be able to write for us, but we’ll definitely keep you in mind any time we need more guest bloggers!